After an initial delivery mishap where the contents of the Goji Berry Antioxidant Mix were out of their container and my macadamialicious was swimming in it, I’ve now tried two mixes from mixmymuesli… yes another custom muesli company! I probably wouldn’t get macadamias again, they’re great for the mouthful they’re in, but for the rest of it, you have the rely on the other things… I think the slivered almonds might provide better nut value ratios! The other morning I mixed the two together and got a better ratio of fruit to base for me than what’s in the Goji mix – too much dried fruit in the morning! meep! That’s so cool how the nutritional calculator updates as you pick what you want. Oh me too…. cos I DON’T want the banana or random strange thing.. I just recently discovered this website… maybe it was from you? A tweet maybe? Anyway, as soon as I run out of my Brookfarm Macadamia nut pack I’m going to give it a go. Your combo sounds yummy!!!! Possibly! 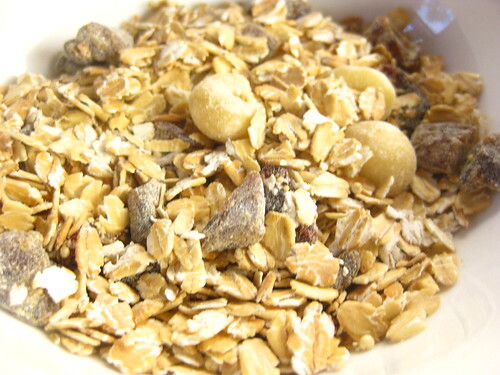 I’ve been muesli-ing all over the place! 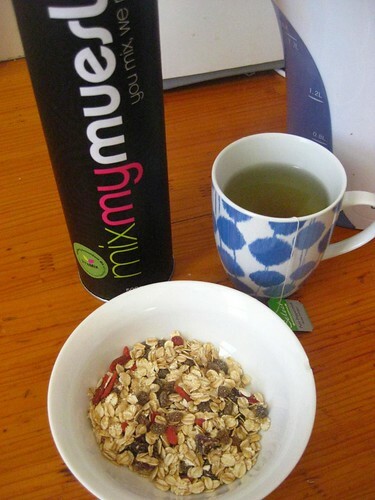 Liking http://www.muesli4me.com.au the best at the moment! I’m really going to have to try this. So exciting! Squee!